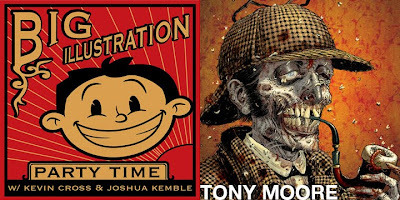 i recently did an interview with Kevin Cross and Josh Kemble at their podcast, Big Illustration Party Time! It's a different kind of beast than the casual listener might be used to, as it's mostly shop talk and gets pretty heavy on the technical bits. If this sounds up your alley, or you're just curious for more insight into my specific processes, give 'er a click! Artists' Resources section updated... bigtime!